Deciduous tree. Slow growth. Branching becomes dense with maturity forming a compact habit. 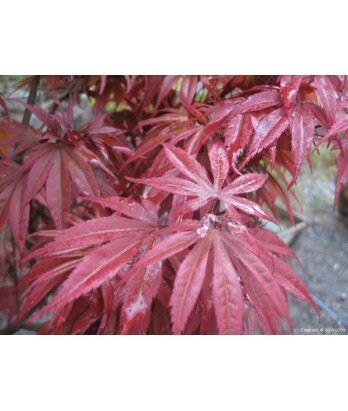 Palmate shape leaf is bright red in spring, maroon in summer, and red-orange in fall. Moderate to regular water needs in well-drained soil once established.